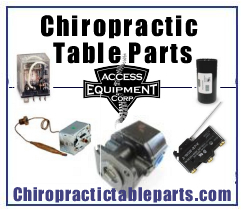 All used chiropract ic tables and used chiropractic equipment on this site is sold With a ONE YEAR PARTS WARRANTY. Buy New Or used Hylo, Elevation or Hylo & Elevation chiropractic table and get a 50% tax credit! Get the Leander Table or used Leander you need to grow your practice with LOW monthly payments. Our Headrest Paper is available in different Qty’s and Textures. Choose what is best for you!! Our Electrodes are available in different Qty’s ,shapes and sizes. Save Big by buying in Qty! Our Analgesics are available in different Qty’s ,Brands and sizes. Save Big by buying in Qty!. This Great Combo will save you Money and Time.Lok for more great values like this.Sign up for our monthly sales letter ,that way you wont miss out on any DEALS!! The Customer Choice Products. These items are proven to save you time and MONEY! 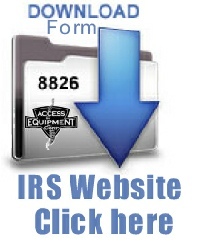 Access Equipment is your source for New Leander Tables and Used Leander Tables. Do you have a old chiropractic table to trade in? This is the place for you. Buying a new Leander table or Used Leander Table has never been easier. So take a look around to find the Leander table website for the new or used Leander chiropractic table you need. Fixed Height from 19" - 28"
All Refurbished Leander tables have a choice of Custom Color on Upholstery. Custom Base Color Change is available on some tables.All Refurbished tables also carry a One Year Parts Warranty. We understand everyone is on a Budget!! Save Time and money by purchasing a chiropractic table or used chiropractic table Choose your custom upholstery color on your used chiropractic table ,we offer Vinyl as well as Upgraded Heritage or Leather upholstery.